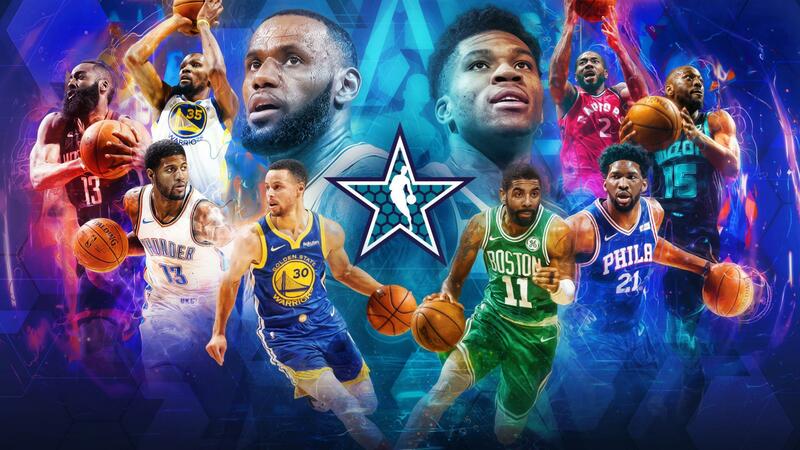 With LeBron James taking his talents to the West, a huge opportunity opened up in the East to lead the 2019 All-Stars. Giannis Antetokounmpo took that opportunity and used his long strides to run away with it. The Greek Freak was unanimously voted as the Captain from all the Eastern Conference Players. He earned the most fan votes at over four million and was also voted number one by fellow players and NBA media. Out West, a familiar face resumes his role as the captain. LeBron James had more than 4.6 million votes to lead all players in fan voting. He also topped the players and the media votes to earn the Captain’s spot for the West All-Stars. Joining Antetokounmpo in the East frontcourt are Kawhi Leonard and Joel Embiid. Leonard has been Antetokounkpo’s closest competitor as the best player in the East. The Raptors and Bucks have flip-flopped the top two seeds in the East because of the performance of their All-Stars. Embiid has taken his game to another level this season. Even with Jimmy Butler and Ben Simmons on the team, he’s established himself as the clear top option in Philly. Completing the East Starters is the backcourt duo of Kemba Walker and Kyrie Irving. Irving was the leading vote getter with nearly four million votes. His electric style has captivated fans and opponents alike. Walker will be playing in front of his home crowd as a starter this season. Walker was on fire in the early part of the season and his performance wasn’t forgotten by the voters. Out West, James is joined by Steph Curry, James Harden, Kevin Durant and Paul George. Curry and Durant continue to lead the Warriors as the best team in the West. After a rough start, Golden State has found their groove with Curry’s explosive scoring and Durant’s all-around dominance. 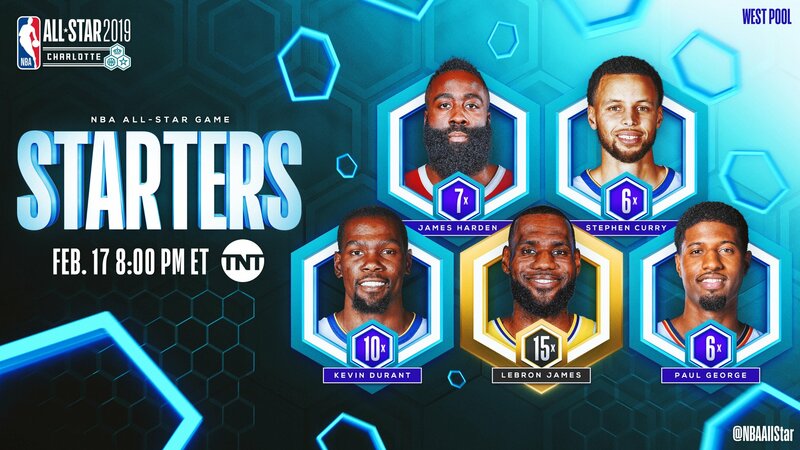 Harden’s inclusion in the starters was a no-brainer. He’s having the best offensive season by a player since Kobe Bryant’s performance in 2006. George was tied with Anothony Davis in terms of the aggregate score of fan, player and media votes. But since he edged out Davis in fan votes, George makes the final cut for the West starters. George is playing his best basketball this season. He’s been a two-way force for the Thunder. Similar to last year, James and Antetokounmpo will have to select their teams from a pool of 22 players. 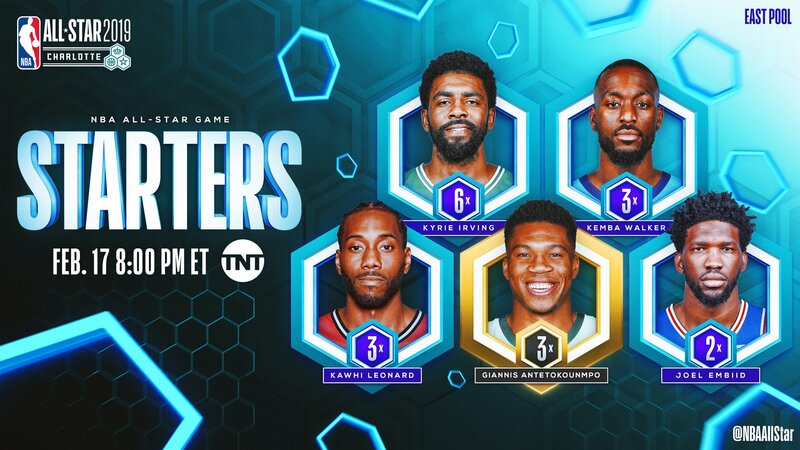 So far only 10 All-Stars have been announced. Coaches will now select the pool of 14 All-Star reserves that the captains will choose from. James gets the first pick in the first round of players composed of the starters. Antetokounmpo will get the first pick in the second round, composed of reserves. Players pick alternately until the players in that round has been exhausted. Unlike last year where the teams were just announced, this year, fans will get to see how the teams are formed via an All-Star Draft Show. That show will air on February 7 (February 8, PH time).